With Starting 11 contests this weekend, it’s time to get the site and community Gameweek 37 daily tips. You can challenge the community by downloading the FREE App on Android or iOS and create a team. There are separate games available for the fixtures on Saturday, Sunday and Wednesday. Get ahead in familiarising yourself with the game ahead of their World Cup contests this summer. There’s plenty to consider in terms of FPL transfers and creating your Starting 11 lineups. The picks are inspired by the Official World Cup 2018 Panini sticker album slogan #GotGotNeed. Personally, when choosing players for my daily fantasy lineup, I like to select a blend of players that I haven’t been able to fit into my Fantasy Premier League team, alongside the ones that I do own. There’s three players dominating all the Double Gameweek planning and it’s those names which make up my #GotGotNeed picks in the forward slots. Luckily, I already have Harry Kane and Raheem Sterling in my FPL eam. Unfortunately I don’t have Jesus, and I’ll be needed to take a points hit to get him in. He looks set to start a pair of enticing home games against lower league opposition, and he’s got returns in his last three games. The captain decision is incredibly tough this week, with massive points potential from all of these. Sterling edges it for me on the Gameweek 37 daily games, since he’s been in phenomenal form recently and hasn’t blanked at home since December! Spurs are in for an enticing few days, as they finish the season strong and support Kane in clinching the golden boot. If last season’s close is anything to go by, expect Dele and Son to be in the points. Willian stays in my team, despite a dip in form and with a pair of home games he could ‘come good’. It’s Manchester I’m looking to for yet another Gameweek 37 Daily pick this week though. Kevin De Bruyne has been instrumental this season, alongside Sterling, and he scored in his last home game. The party atmosphere will be in full swing at the Etihad on Sunday, as City are set to lift the Premier League trophy. 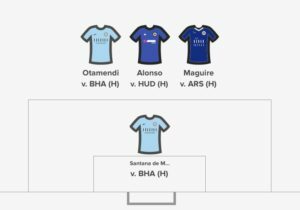 I’ve got Leicester and Chelsea defenders in my FPL team: the luxury of Daily Fantasy is that no budget allows choice for the premium options. Over in Manchester, Ederson has remarked that he’d like to take a penalty before the end of the season: that prospect is just too enticing to ignore and he gets a deserved place between the sticks. With injury doubts for Stones & Kompany, expect Otamendi to feature in both the games. Clean sheets should be easy to keep against goal-shy Huddersfield and Brighton. Good luck to you in your Gameweek 37 daily fantasy competitions. WORLD CUP FANTASY FOOTBALL: Before you go – whilst the Fantasy Premier League season is still a week from its end, the 2018 Russia World Cup is now looming! 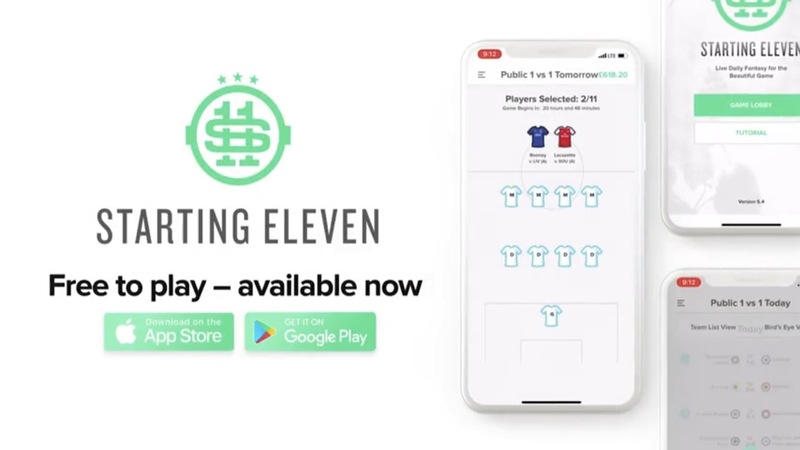 If you’re interested in playing World Cup Fantasy Football with us and many other FPL community members this summer, please download the FREE Starting 11 app today by clicking the banner below – available on Android & iOS.